The convenience foods market is driven by busy lifestyles and ageing population. It includes a range of processed foods that has longer shelf life and are easy to use. The major attributes that consumers look for in convenience foods are ease of use, packaging, nutritional value, safety, variety and product appeal. These are prepared by adding various preservatives at specific conditions and few of them need an efficient supply chain and storage to retain their properties. Convenience foods save time and energy for preparing food at home or hotels. Technology and innovative packaging options have widened the food choices that are available in the market in various categories such as frozen, chilled, packaged foods, etc. The market has been segmented by type as canned foods, frozen foods, ready-to-eat snacks, meals, chilled foods and others. The market can also be segmented on the basis of distribution channels into supermarkets and hypermarkets, departmental stores, mom-and-pop shops, convenience stores and others. Geographically, the market can be segmented into Asia-Pacific, North America (the U.S., Canada and Mexico), Western Europe, Eastern Europe, Middle East & North Africa and RoW (Rest of the World, including Latin America and South Africa). With more women in the workforce, the demand for convenience foods is rising, primarily in emerging economies. The rapid growth of the food service industry in large number of developing markets is also expected to fuel the demand of packaged ready-to-eat snacks such as potato fries, bakery products and meat products. However, lack of proper storage and logistics is a threat to the frozen and chilled category of convenience foods in developing countries. There are stringent regulations on labelling and manufacturing of convenience foods in both developed and developing nations. One of the major drivers for convenience foods industry growth is widened distribution channels and tendency of consumers to buy off-the-shelf especially in emerging markets of BRICS and MENA. The U.S. is the largest market for convenience foods in the world and the emerging markets of Asia-Pacific, Middle East and Latin America would fuel the future growth of the same. The U.S. will remain a strategic market for convenience food processors in the forecast period due to declining trend towards away-from-home dining and at-home cooking. There is a rising demand for meal solutions/ready-to-eat meals that can be prepared in two-step cooking. For instance, in December 2013, ConAgra Foods launched 23 new varieties of quality meals and desserts in Bertolli and P.F. Chang’s brands to enhance consumers’ at-home dining experience with convenience. In addition, consumers are looking for meals with foraged, hyper-local ingredients with different flavours and blends such as mushrooms, nettles, blackberries, rose hips, seaweeds, truffles, etc. 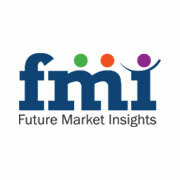 The global convenience foods market is expected to grow at a healthy CAGR from 2014–2020. Some of the emerging markets may even experience a double-digit growth rate through the forecast period in significant categories. Large multinational corporations follow multiple strategies to develop and penetrate the market for convenience foods in different regions. However, providing products that match local consumer taste is of utmost importance. Pricing is another important factor for convenience foods, however nowadays, consumers are ready to pay a premium price if they get to buy quality convenience foods with health benefits. Some of the common strategies that companies have adopted in recent times are portion controlled packaging, in-store promotions, mergers & acquisitions and health claims in labels. There is a growing trend towards healthy convenience foods that are rich in proteins, functional fibres, vitamins, probiotics and omega-3 fatty acid. For this, many market leaders are integrating their operations by acquiring ingredient manufacturers to increase their technical know-how. Availability of customized food ingredients has become a boon for convenience food manufacturers as they can provide large varieties in each category. Some of the key companies manufacturing and distributing convenience foods are Amy’s Kitchen, Inc., Cargill, Incorporated, ConAgra Foods, Inc., General Mills, Inc., Tyson Foods, Inc., Mondelz International, Inc. and Kraft Foods Group Inc.